When winter comes there is a chance for unprotected pipes to freeze over. When your pipes freeze, it is important to know how to properly thaw your pipes to reduce or eliminate damage to them. When water freezes it expands; so if the water in your pipes freezes there is a chance of the expansion causing the pipe to burst. Knowing the essential information below would lead to the avoidance of burst pipe repair which could cost you much. There are a few locations that are most likely to get freezing pipes are in an outside wall, under a sink in an outside wall, and in an unheated attic. 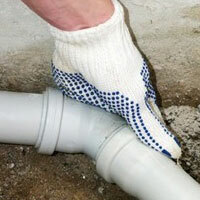 There are most recommended methods to thawing a frozen pipe depending on where it’s located. Here are a few important things to know about the thawing of pipes.